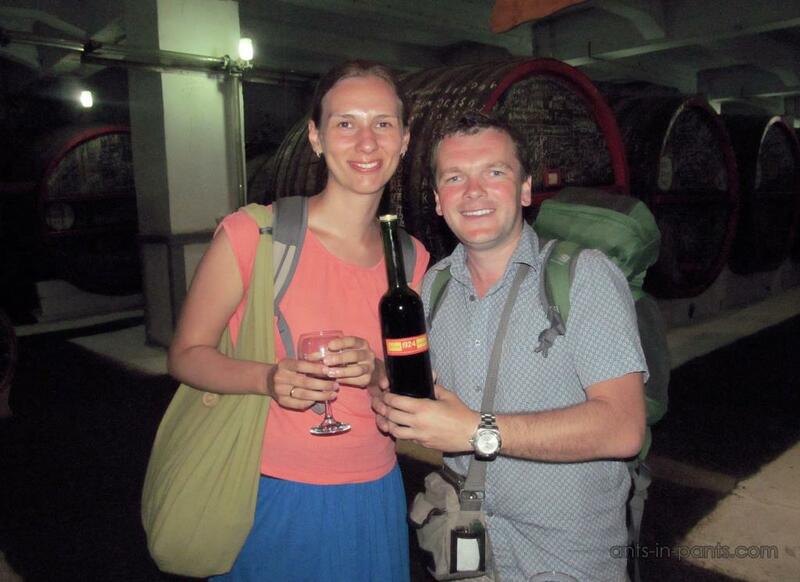 On the last day in Yerevan (how we passed other days in Yerevan) we visited the excursion in the brandy factory. 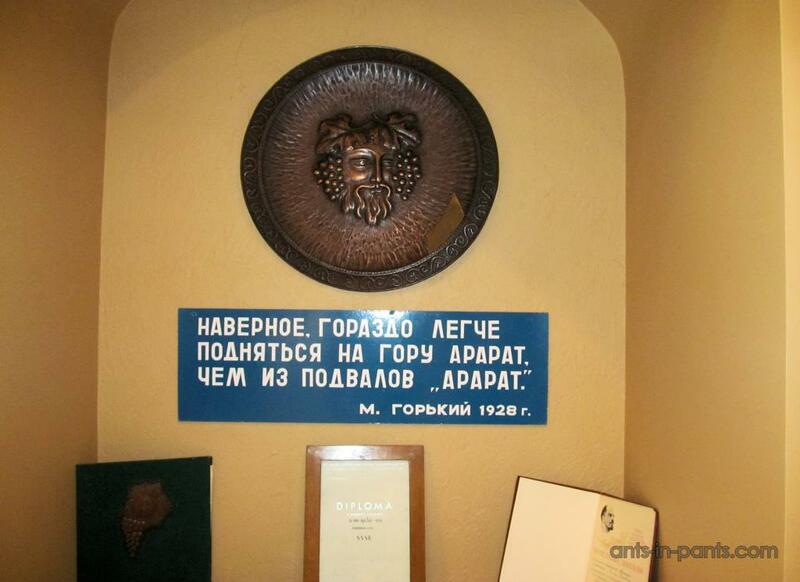 At first we were planning to visit “Ararat” factory, but on the way to it checked its branch – “Noah” and found out that visiting it is cheaper than visiting “Ararat” (3500 and 2500 drams with and without tasting against 4500/3000 drams in “Ararat”). That is how we decided to choose “Noah”. A reader probably knows that only the drinks produced in the certain region of France have the right to be named cognacs. 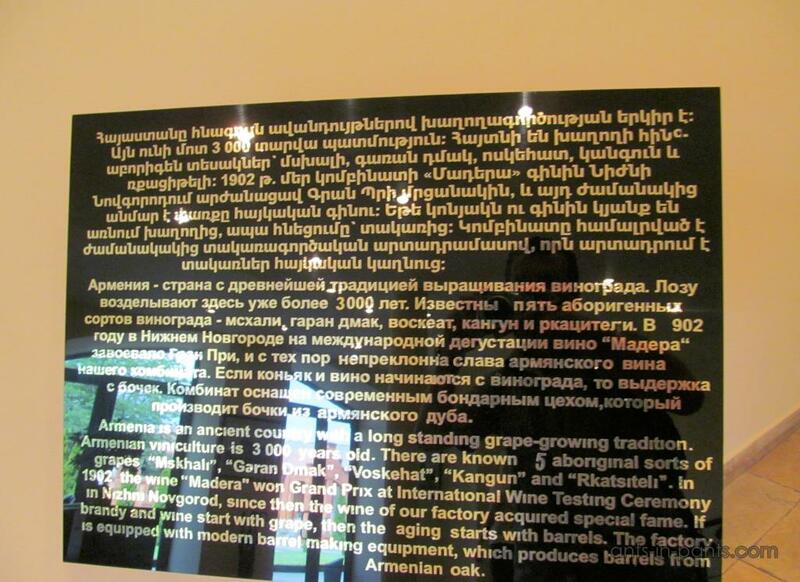 That is why at the world market the drinks produced by “Noah” and “Ararat” are called ‘brandies’. In Russian, they are still ‘cognacs’. Armenians claim that they have been making wine for over 3000 years, while the history of brandy production is much shorter. 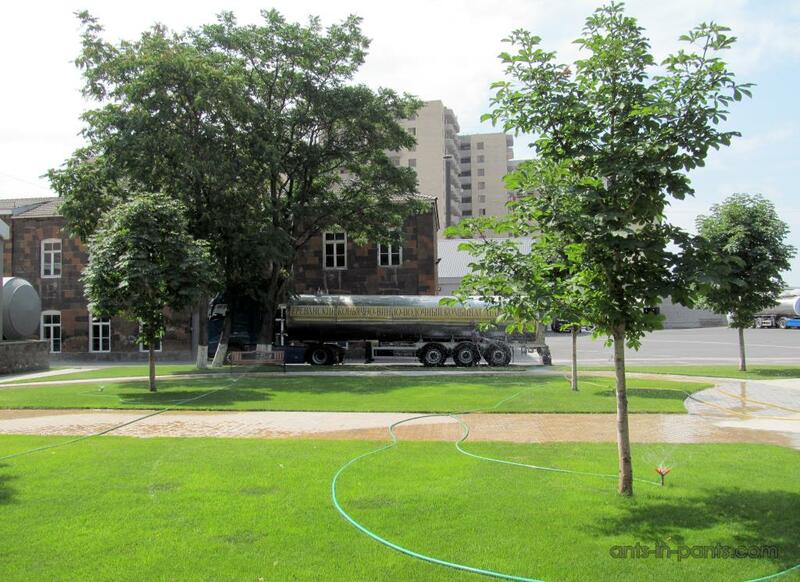 In 1877, the merchant Nerses Tairyan installed a copper apparatus for brandy making of the capacity of 102 buckets at Yerevan wine factory. 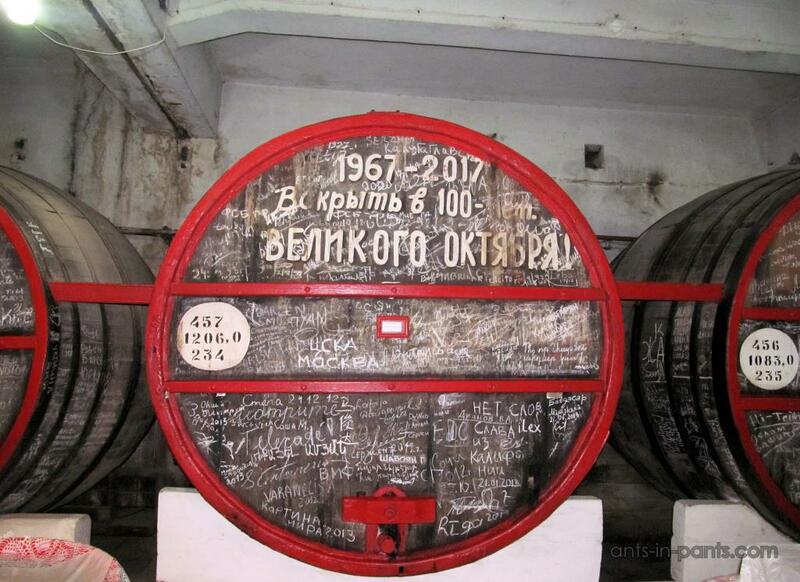 The first Armenian brandies were produced with French technologies and had French names. 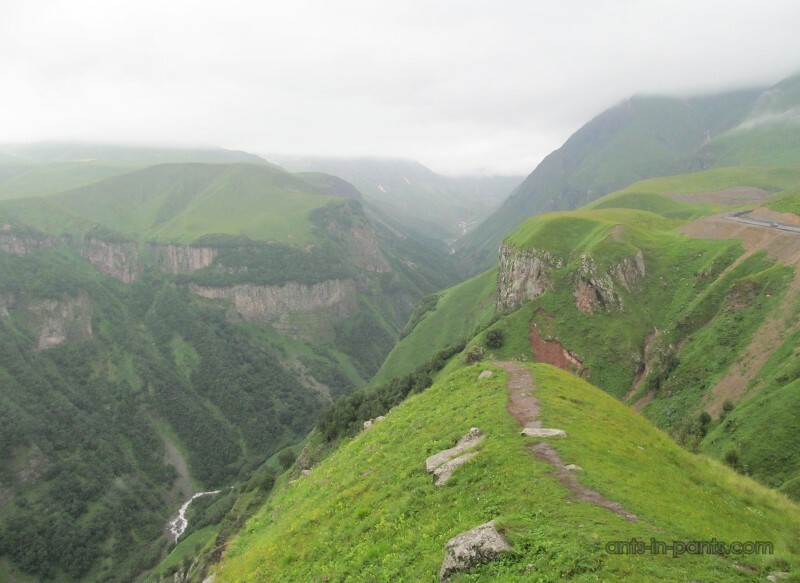 Short after the factory was purchased from Tairyan by Shustov, the latter lost it due to Revolution and nationalization of the enterprises. 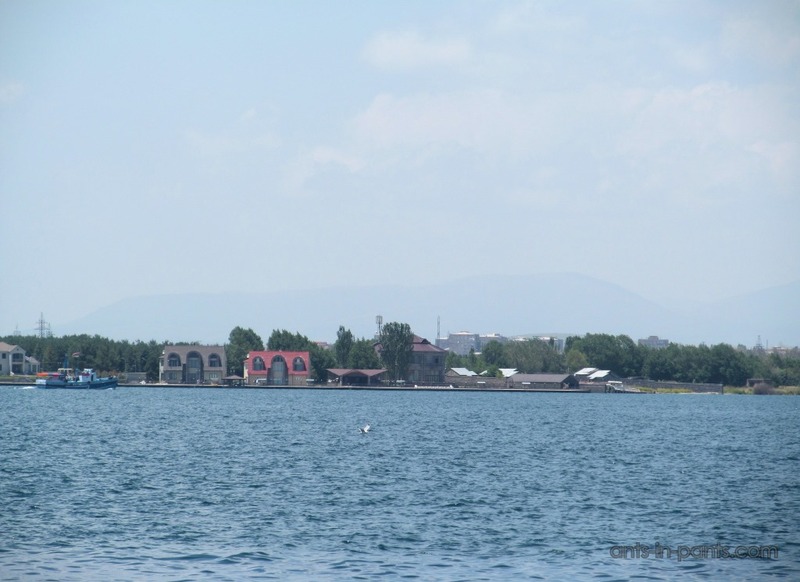 The “Noah” factory building is situated on the place of former fortress, known also for the first performance of Alexander Griboedov’s play “Woe from Wit” with the author (who was the ambassador of Russia in Persia at that time) present at it. The excursion starts with the brandy cellars where one may try the Madeira wine made in 1921, which got a prize at some wine festival in 1902. This shield states it happened in 902, but we hope that it lacks ‘1’. The Madeira was great, we must admit, and you may try it only here: it is stored for the tourists and cannot be purchased. 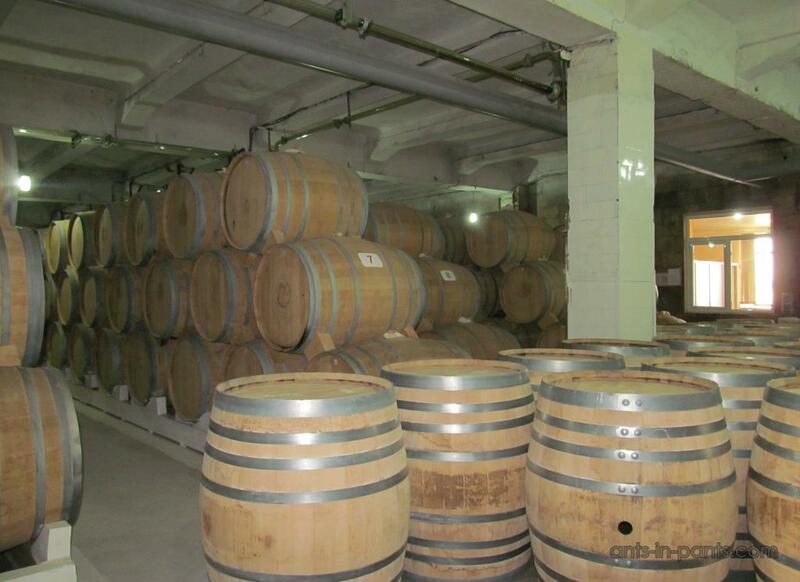 The factory also has its own barrel-making workshop as good barrels are essential for making brandy. After the walk in the factory, the final part comes: tasting of 10- and 20-year old brandies. We acquired a lot of knowledge during the tasting, for instance, brandy should not be mixed with lemon, ice, or other additions: as its taste should be enjoyed. You are also allowed to smoke during the tasting as brandy and cigarettes go together well. Before drinking, one should keep the glass with brandy in the hand so that to make it warmer (do not use fire for that!). Typical snacks for brandy are fruit and chocolate, and one-evening dose should not be larger than fitting into the glass put on its side (40-50 ml). 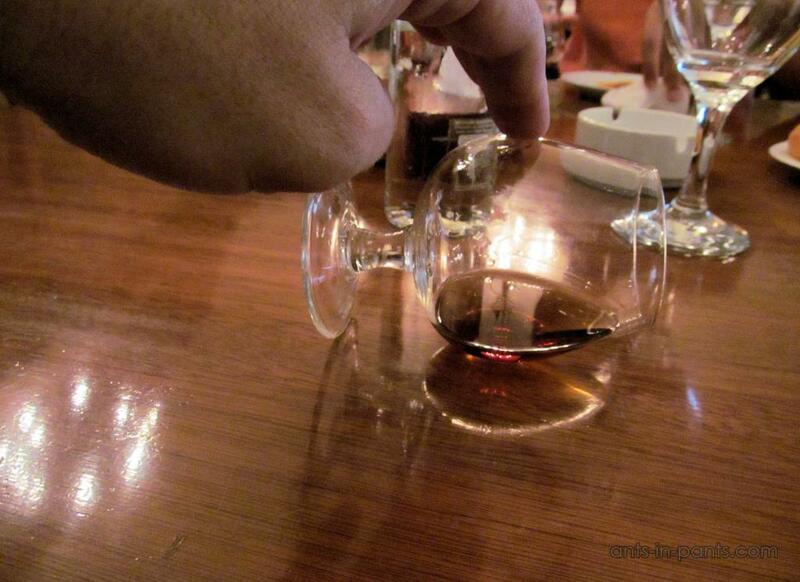 To determine the age of brandy one should tilt the glass to its side, and then return to the regular position. The drops called “ladies legs” will flow down from the top to the bottom of the glass: the number of seconds is takes is equal to the number of years it is old. After this explanation we were trying hard to repeat this experiment, but our drops were too fast: either the brandy was not that old or we did something wrong. 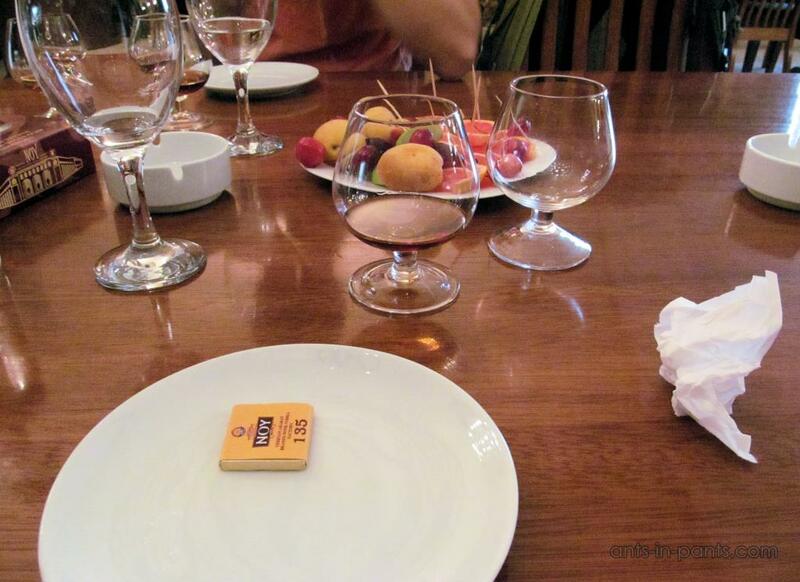 The excursion takes about one hour (the tasting – as long as you want, the amount of brandy is limited though); it is a good alternative to the «Ararat» tour. 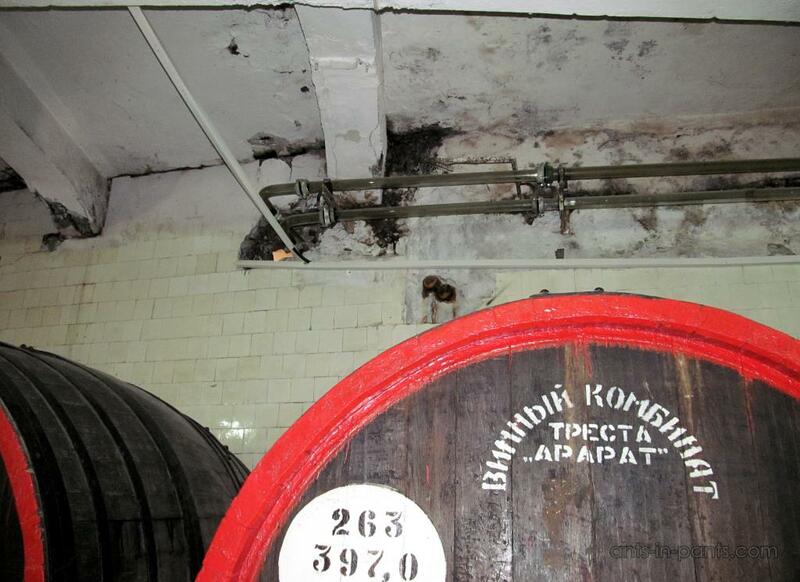 You take a walk in the factory and see the barrels where the brandy is actually made. 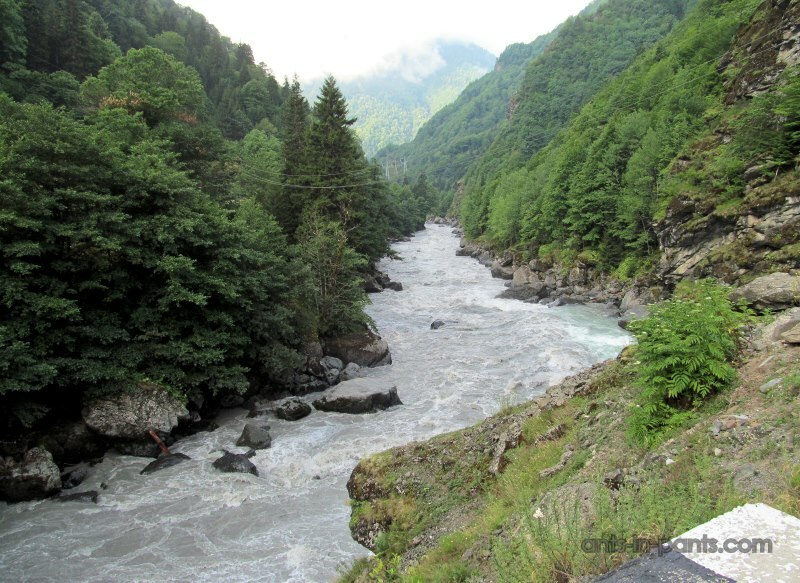 This excursion perfectly suited for us to arrange a very productive day, both visiting the tourist sight and getting from Yerevan to Tbilisi by the evening afterwards.